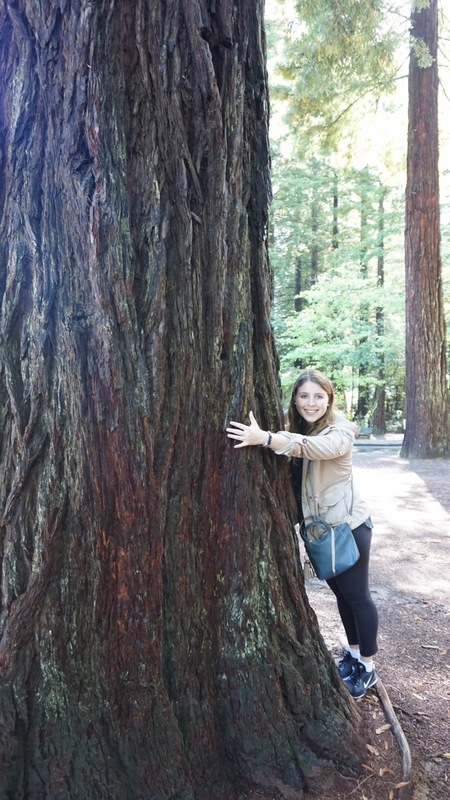 Sarah In The South – LA-NYC-Houston. Foodie and fitness adventures in Houston and Beyond. Trying to find a balance between my love for tacos and green smoothies. When my best friend from kindergarten, Rebecca, got engaged I was over the moon and so excited when she decided on Austin to celebrate her bachelorette! Austin is a great bachelorette city for groups who want a combination of adventure, nature, live music and a great nightlife, all the tacos and amazing food, and a charming southern vibe. It’s central location was also perfect for our bicoastal crew as we had girls flying in from NY and CA. I highly recommend getting an AirBnB so everyone can be together and have it feel like one big slumber party. We were obsessed with our colonial mansion that had tons of rooms, a great kitchen, was stocked with lots of supplies, and best of all an amazing location near Rainey St. Here’s the link. While this guide is great for group celebrations, it would also make for an eventful weekend away with anyone special. Hope you enjoy! Thursday 7 pm– Dinner at Fresca’s , casual Tex Mex and healthy options with an amazing patio vibe. Order the avocado margarita. It’s creamy and doesn’t particularly taste like avocado but it delicious and refreshing. Loved their rotisserie chicken, guacamole, brussel sprouts and street corn. Thursday 9 pm– Drinks at Marriott Marquee downtown. Great rooftop bar at their pool. Friday 10 am– Time to sweat to compensate for all the treats to come! We had a blast at knockout boxing, such a fun class, instructor, great music and activity. Friday 1 pm– Lunch at launderette. We loved the food and vibe! Ordered some apps for the table and the food was trendy and tasty for a pretty good price. Friday 3 pm– Time to cool off and people watch at Barton Springs pool! A summer must in Austin. Friday 6 pm- Shop and explore South Congress St. Stopped for happy hour at Hotel San Jose. Get the frose’ and cheese board. Friday 8:30 pm- Lounge at house, get ready to go out, and order BBQ/ Tex Mex takeout from Valentina. Their queso was amazing. Friday 10 pm- Night out on Rainey Street filled with tons of cute bungalow bars. Saturday 10 am- The BEST breakfast tacos ever at Veracruz All Natural. Get the migas tacos. Saturday 11:30 am- Get ready to float the San Marcos river! Another summer must in Texas. Pack a cooler with beverages to enjoy on the river, lots of sunscreen, water shoes, and string to tie your tubes together so you don’t lose your friends! We all loved this adventure and was a highlight. We used ATXexcursions who were great and provided transportation, the tubes, and coolers. Saturday 8 pm- After a nap and shower its time to keep the party alive! Grab dinner on the patio at Contigo. Afterwards go enjoy live music and an entertaining crew at Pete’s Dueling Piano Bar on 6th street. Make sure you get your bride on stage! Sunday 11 am- Farewell brunch at Jacoby’s. Sad to say goodbye but best weekend ever! Tips: Book your airbnb 4-5 months out, they fill up fast! Book dinner reservations for large groups a month or so before. Order groceries for the house through Shipt who will deliver. Etsy has great bachelorette/ final fiesta decorations and we loved getting tattoos with our bride’s face on it. Matching pajamas from Jcrew really enhanced the slumber party vibe. Anyone else day dreaming of summer, Italy, and pasta? Eight years ago exactly I was in the middle of my spring term abroad in Florence. I had the chance to study art history, photography, and attempt to learn basic Italian phrases, while really getting an education in who had the best pizza and gelato in town. I fell in love with the culture, art, fresh tomatoes and olives, discovered pecorino cheese, and tried to converse with my host mom who made incredible pasta every night, but didn’t speak a word of English. Each night she would cook a new gourmet dinner and almost all included a pasta course, sometimes as the main dish but often as a side. Cooking to her was seasonal and effortless. I cherished our dinners together despite the language barrier. We would sit with the English-Italian dictionary on the table and point to words when we couldn’t communicate. We mostly communicated through food and facial expressions and this experience truly taught me that food is one of the most powerful and beautiful languages. One night my good friend and roommate, Anna, and I taught our host mom and her granddaughter how to make pancakes. The ultimate American food! I regret not asking her to teach us how to make pasta or for some of her favorite recipes. I hope go have the chance to go back and visit and learn how to make authentic Italian pasta with her or other Italian grandmas/chefs/experts. This inspired me to enter a pasta competition I learned about through an upcoming Italian food event in Houston. 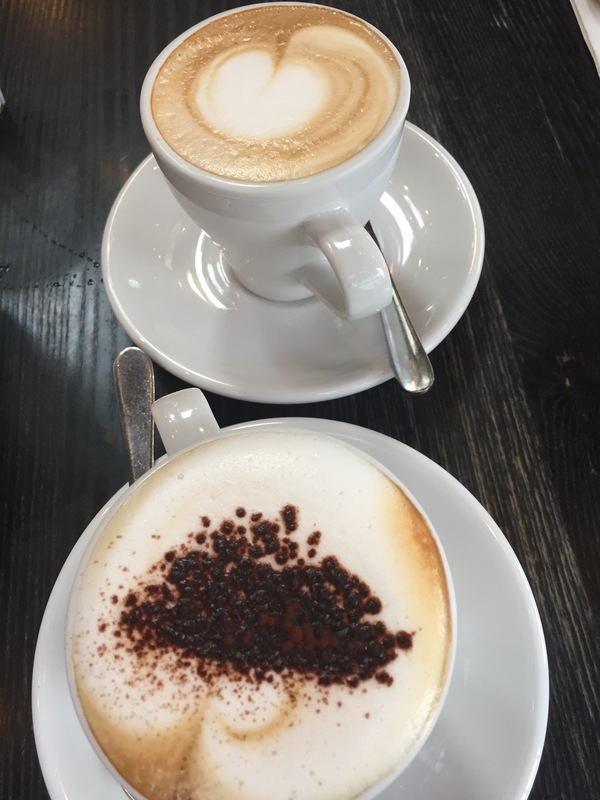 This blog post has been entered in the Pasta Blogger Competition (Houston 2018)”. You can learn more about the event here which will be a foodie dream filled with over 20 different Houston restaurants preparing their favorite pasta creations. Here are the details, it will be a delicious and indulgent evening! Click here for event registration info. To get in the Italian and pasta spirit I made a recipe that represents the colors of the Italian flag while focusing on seasonal produce from the farmers market, and Italian cheese from Central Market . I was excited to discover fresh pasta from Casetta Catering at the Memorial Villages Farmers Market. The pasta is handcrafted by Italian Chef Francesco who imports his flour from Italy. This is the real deal and we are lucky to have access to authentic fresh Italian pasta here in Houston. I sautéed asparagus, zucchini, red peppers, cherry tomatoes, and green peas in Bellucci Italian olive oil. While this was going, I added the fresh pasta to boiling water for just under two minutes. Another perk of fresh pasta is it cooks super fast and you want to make sure you keep the perfect al dente texture. Once I combined my fresh veggies with the pasta, I topped it with toasted pine nuts, a drizzle of pesto, and lots of freshly grated parmesan cheese! To continue with the Italian celebration, I served a cheese board with cheeses from the incredible Italian cheese section at Central Market. These included: fontina fontal which was my favorite, a pecorino romano which is a classic salty Italian cheese, and the wildcard was a ubriaco di raboso cheese which is a semi hard cheese from Trevisio with a deep violet color and a fruity finish. I am obsessed with castelvetrano olives, the bright green delicious ones that come from Sicily, so this had to make it on the cheese board as well. To give Texas a shout out I had to use my Texas shaped cheese board. Lastly, the finishing touch of our Italian celebration included blood orange Italian soda with gin and rosemary. The perfect refreshing cocktail to enjoy with all the pasta and cheese! This is the perfect meatless Monday pasta dish and was a big hit with my friends. I can’t wait to try all the pasta dishes at the upcoming pasta celebration on May 20th, hope to see you there! How’s everyone’s Passover going so far?! This is the final stretch and wanted to share some classics with you in case you are in need of some inspiration or looking to try matzah recipes for that first time! It’s often my non Jewish friends who are most intrigued by matzah creations so I hope everyone will enjoy! The assortment above is matzah crackers made with my friend Danielle who is always game for food styling with me. She invited me over for Grey’s Anatomy + matzah with goat cheese, pears, pistachios and honey! Yum. We added wine and played around with other combos including avocado matzah “toast” with tomatoes and everything but the bagel seasoning. Dessert was matzah chocolate and raspberries. Nothing beats matzah pizza for a quick, versatile, and always delicious matzah meal. This is perfect for lunch or a snack or when you just need hot melted cheese (me all the time). The best matzah for this is classic salted or unsalted, manischevitz brand is my go to . Try to avoid egg matzah for this as it can get soggier which is not what you want for a crisp matzah pizza. Start with tomato sauce or pesto, any sauce will do! Then add your favorite shredded cheese and toppings. Some of my favorites include: mini peppers, Basil, three cheese blend, roasted tomatoes, and mushrooms! It’s a DIY canvas. Matzah brei is a classic Passover breakfast that is delicious any time of year! You can make it savory or sweet. The sweet variety is sort of like a play on French toast. I love topping it with jam, cinnamon sugar, and a dollop of sour cream. Hoping to make a savory Mexican styled matzah brei migas this is weekend. For a classic matzah brei recipe you need: 1.5- 2 sheets of matzah, 2 eggs, a generous splash of milk, dash of vanilla or if you’re going sweet, add a pinch of salt. Break the matzah up in the egg and milk mixture and coat for about 1-2 minutes. Don’t let it sit longer! Heat up a skillet with butter and add the matzah brei mixture stirring quickly as if you were making scrambled eggs. Once eggs set to your desired consistency, serve immediately and top with your toppings of choice. This raspberry jam has been the real winner this Passover for me. I found it at the Blue Field Farmer’s market in Eado and am now hooked. Would order online too and easily say it’s the best raspberry jam I’ve tasted which can really elevate your breakfast! If you only have 1 minute for breakfast, matzah with cream cheese and everything but the bagel seasoning from Trader Joe’s is the answer. Could also skip cream cheese and do this with avocado, yum! No Passover is complete without matzah crack! Basically matzah toffee that is seriously addictive. I’m partial to this Smitten Kitchen recipe, but you can’t go wrong with any Carmel chocolate combo on here. Warning, it gets sticky so use parchment paper plus foil! Hope you enjoy! What are your favorite recipes with matzah? It’s hard to believe it’s already mid December! This fall has flown by and it’s been an eventful past few months in Houston to say the least. From Hurricane Harvey, the Astros winning the World Series, and the first Houston snow in seven years, there’s been a lot going on here. I am very much looking forward to the holiday season, winter break, and 2018. If you are still searching for gifts for Hanukkah, Christmas, or your white elephant gift exchange, here are some of my favorites for this year! Take a look at my 2016 gift guide too! Cast Iron Skillet (save) Le Cruset (Splurge) – If I could only use one pan forever, it would definitely be my cast iron skillet! It is highly durable and versatile and I love that I can use it on the stove and in the oven. It’s perfect for making a frittata, meatballs, steak, stewed chickens, and so much more. They last forever and get better over the years as the seasoning on the pan develops. 2) Electric Wine Opener– Total game changer and makes opening wine bottles fun and easy for anyone. Simply press down and voila! Perfect for a white elephant gift exchange and you can find good quality options for $20 or less. 3) Away Carry on Luggage– For your friend always on the go, this is the ultimate carry-on that I’ve been eyeing for a while. It has a built in battery to charge a USB device anywhere, perfect for when you are held up at the airport. With various compartments to keep you organized, a TSA approved lock, and durability designed for life, it is in a league of its own. Tons of color options so your bag will stand out amongst a sea of black bags. 4) Fit Bit Flex – For your relative whose into fitness or looking to up their step game, the Fit Bit flex is the perfect motivator. I’m obsessed with mine which I received as a gift (Thanks, Brittany!). It reminds you to move every hour, can display your texts and calendar reminders, tracks your workouts and sleep, and even has quick workouts built in and meditation routines. Battery life is a plus over the apple watch, and I like that it doesn’t show you emails or more bells and whistles- it is the perfect amount so you aren’t overly plugged in. 5) Holiday scented candle– When you wish you have a fire place but don’t, a big candle with a wintery smell is the next best thing! I’ve been obsessed with the large silver luster candle from West Elm called “A chill in the air”. Currently sold out online but can find it in some stores. It seems fresh and wintery and there is something gratifying about lighting a big candle that you know won’t burn out quickly. Anthropologie also always has a great candle selection and they currently have 25% off. 6) Diffuser– What are the holidays without warm inviting smells? If you can’t have a candle in your office or want something that lasts longer, a diffuser is a great alternative. It also makes the room smell like a spa retreat. I’ve been enjoying using a lavender scented essential oil in mine before bed. My favorite brand is Saje, check out their Good Cheer festive collection. You can set a timer on your diffuser and leave it on while sleeping, unlike a candle! 7) Cooking lessons- Nothing is better than gifting an experience in the kitchen. It’s a great chance to relax with your loved ones and enjoy a meal together while learning new skills. This is a perfect option for your hard to shop for parents, aspiring chef friends, or a bonding gift for you and your significant other. If you are looking for a personalized experience my dear friend Morgan, The Foodie Chef, hosts private cooking lessons in your own home! She is so personable, talented, patient, fun, and creative. This is a perfect activity to do with your whole family to enjoy a special meal together while learning new cooking techniques. If you are looking to earn a cooking certificate, check out Well Done Cooking Classes in the Heights. I have completed 17/20 courses for my cooking fundamentals certificate there so far and have loved the experience and new skills! It is much more affordable than other cooking certificate programs, the instructors are awesome, and I’ve enjoyed being able to go at my own pace over the course of a few months. They also offer social classes and date night cooking classes. 8) Blanket Scarf – Perfect accessory to stay cozy when traveling on a plane or headed to the snow. Love this color and texture. Great for friends or your grandma, or anyone who is always cold! 9) Tile Mate- Anything finder. For your friend or sibling who is always losing their keys or phone…. this Bluetooth tracker attaches to anything you don’t want to lose so you can find it fast! Even if your phone is on silent and you can’t find it, the Tile mat will make your phone ring and will help you see where you had it last. 10) My Favorite Indulgence Granola – The perfect hostess gift, stocking stuffer, or treat for your foodie friends. My sweet and talented Aunt Vicki created this delicious irresistible granola that is slow roasted and made in small batches with non-GMO ingredients. It is delicious on top of yogurt, smoothie bowls, or with milk. My favorite flavors are pumpkin-spiced and chocolate-mocha. Wishing everyone a happy, safe, and meaningful holiday season and new year! The end of August always is bittersweet and one of the things I miss most every fall is peach season. Before we are bombarded with pumpkin spice everything, I am making it a mission to enjoy the end of stone fruit season to the fullest before it’s gone. 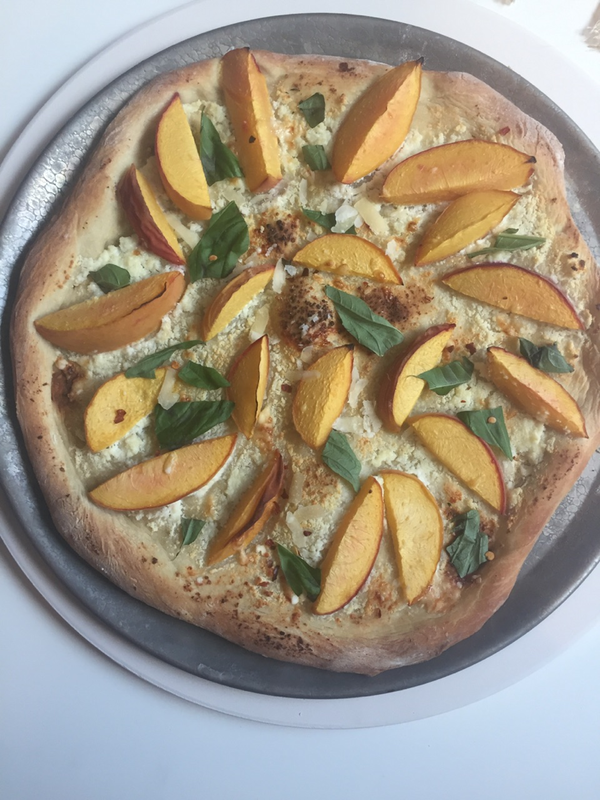 I’ve been adding ripe peaches to everything from salads, to tropical smoothies, and even to pizza! 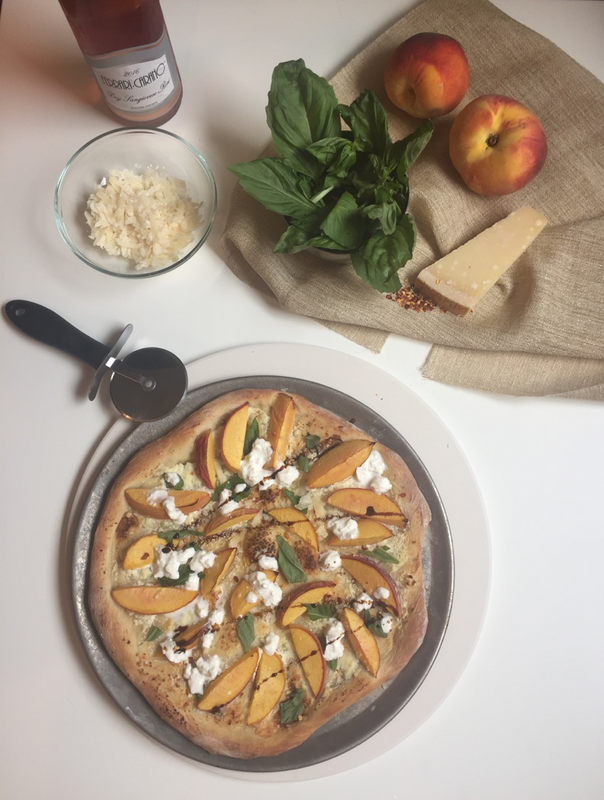 When Whole Foods Market reached out to collaborate on a recipe with peaches I was super excited and immediately knew I had to combine it with my other true food love, cheese. 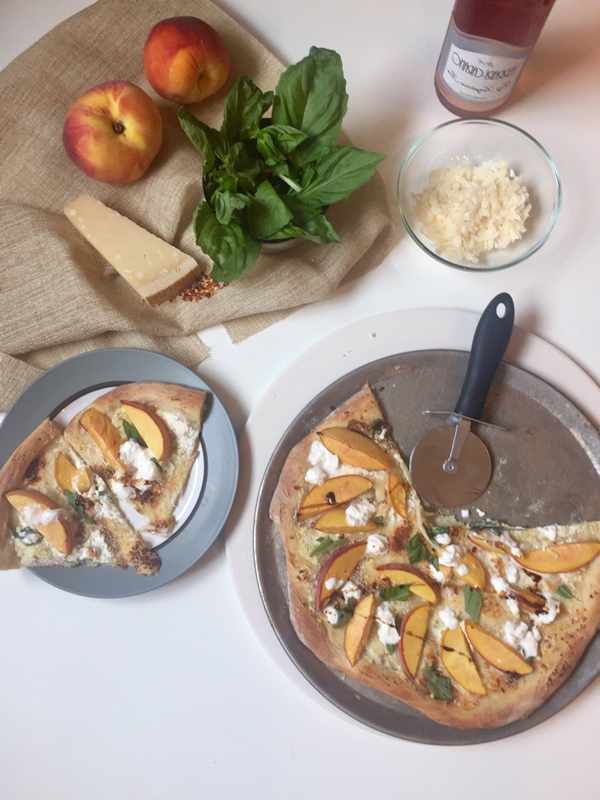 What better way to celebrate the end of summer than with this cheesy sweet and savory peach pizza? Ricotta, burrata, parmesan, basil, and a balsamic drizzle make this easy to whip up any day of the week. Add some rose’ and call your friends and you’ve got yourself a swanky pizza party! Peaches are currently on sale at Whole Foods Market in Dallas and Houston as part of their summer savings promotions, talk about a sweet deal! The peaches will be $1.49 a lb, they will be $2.50 off and can be found in the organic yellow peaches section. Be sure to stop by this week to stock up. Let dough chill on counter for at least 30 minutes. Divide in two and put other half away for another pizza. Start to stretch and knead dough with your hands and then with a rolling pin creating a round-ish shape. If you’re struggling to create a perfect circle, don’t worry, it’s artisan! Lightly brush the dough with olive oil. Spread ricotta cheese on the dough creating a thin layer to coat the crust. 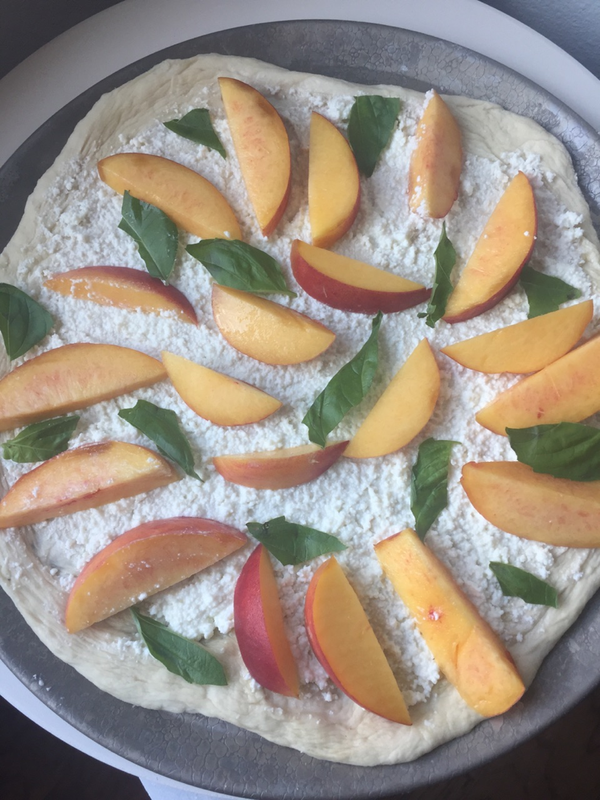 Arrange sliced peaches over the ricotta cheese. Sprinkle 1/2 the parmesan cheese on top of pizza. *Disclosure: I have a partnership with Whole Foods Market and was compensated for my work, but all words and opinions are my own. Houston is a bustling place all year round, but somehow it’s elevated in the summer time! The sense of excitement is almost palpable as everybody enjoys this season in the city. Although it can be hot and humid, there are always tons of events to enjoy this time of year. With all of the options available to you out there, it’s easy to elevate your summer with a bucket list of fantastic opportunities for fun. These are just some of the choices to consider to end your summer with a bang. I am excited to partner with Transportation in Houston to help make your summer one to remember. Check out our list of suggestions below! Cool down with refreshing beverages! The atmosphere at local wineries and breweries can definitely vary, so it’s not a difficult task to find a scene that you enjoy. Downtown, it’s easy to find a high energy, trendy spot like Saint Arnold or Karbach Brewing Company. For those who enjoy a laid back vibe, you can’t go wrong checking out some local wineries. La Fuente is a close option that offers sophisticated two hour tastings that are sure to expand your wine knowledge! Make sure you have a designated driver or car service arranged so everyone can enjoy the fun and stay safe. Enjoying a home game at Minute Maid Park is one of the simple pleasures in life, no matter your age! There’s nothing better than enjoying the morale of the city here, and tailgating is another way to enhance your experience and overall team spirit at these games. Foodies will rejoice during Houston Restaurant Weeks that will span from the beginning of August to the fourth day of September. From vegan finds to classic steak houses, there’s sure to be a participating restaurant that tickles your fancy. Last week I took advantage of HRW deals at Xochi and Potente! If you are looking for something more hands-on, you can even take advantage of a cooking class during restaurant week. I visited Main Course Cooking School in Spring the other week. For $45 you get to learn cooking techniques, enjoy the delicious meal you prepared, and if you get there early you can tour the inspirational design houses at Main Street America. The cooking school is also BYOB! Houston has a distinct personality, and the most efficient way to get familiar with it is to enjoy the local flavor. You can do this by checking out some of the festivals like the International Jazz Festival, ElectroLuv Fest, Polish Harvest Festival, Index Fest, the Houston Hot Sauce Festival, and more. There’s a little something for everybody cuisine, interest, and culture! Summer is the perfect time to take advantage of the musical talent in the city! There are tons of concerts spanning a spectrum of genres at local venues like Revention, Arena Theatre, House of Blues, and Stereo Live. It’s worth it to trek a bit out of city limits to enjoy a concert at the Cynthia Woods Mitchell Woods Pavilion. Be sure to consider reserving professional transportation for any of these events! This is the perfect way to ensure your experience in the city is one filled with convenience and fun. With a limo or party bus along for the ride, all of the usual inconveniences that come with a trip instantly disappear. You aren’t going to have to deal with things like finding directions, traffic, parking, or dealing with the quest of getting a trustworthy designated driver for the end of the night. A limousine or party bus is a luxury transport option that comes with sophisticated features, but that doesn’t mean that it’s out of your price range. When you split the overall cost among the total number of passengers in attendance, it usually works out to be the same price as an Uber service, or even cheaper. When you compare the features, it’s easy to see why it’s more beneficial to invest in professional Transportation in Houston. Stay cool and safe this summer, Houston! My exposure to brisket before moving to Texas was centered around enjoying the delicacy during Jewish holidays. My parents, grandparents, and family friends, seemed to use any holiday as an excuse to bake up their favorite brisket recipe. While Jewish style brisket will always have a nostalgic place in my foodie heart, it is hard to compare a baked brisket to a smoked brisket. 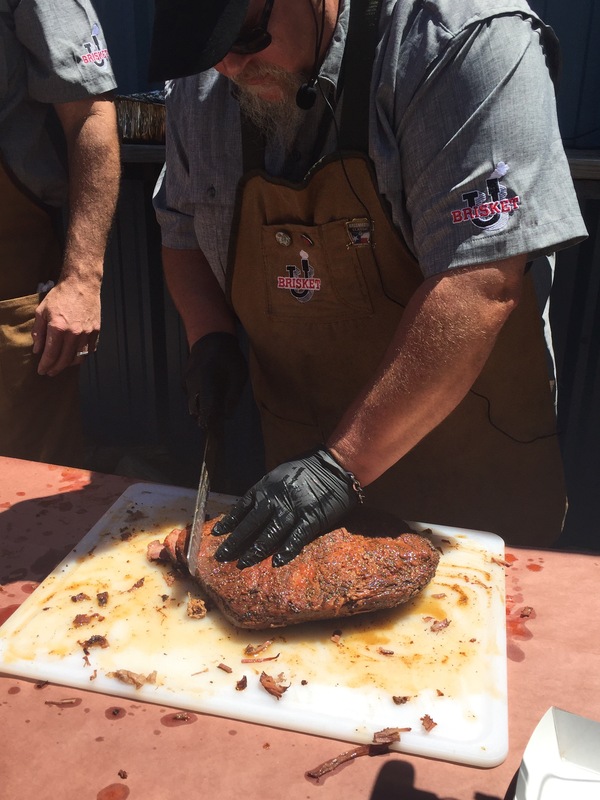 When I sheepishly asked my legendary award winning Pit- Master instructor, Scott, about his thoughts on baked brisket, he told the class, “You will lose your man card”. I’m pretty sure he also meant you will also lose your “Texan card”. Our class took place on a beautiful sunny Sunday morning at Town In City Brewing, the oldest brewery in the Heights. We each received a beer token with the class and it was my first time at the brewery. I loved the outdoor patio and their amber beer so I will be back. 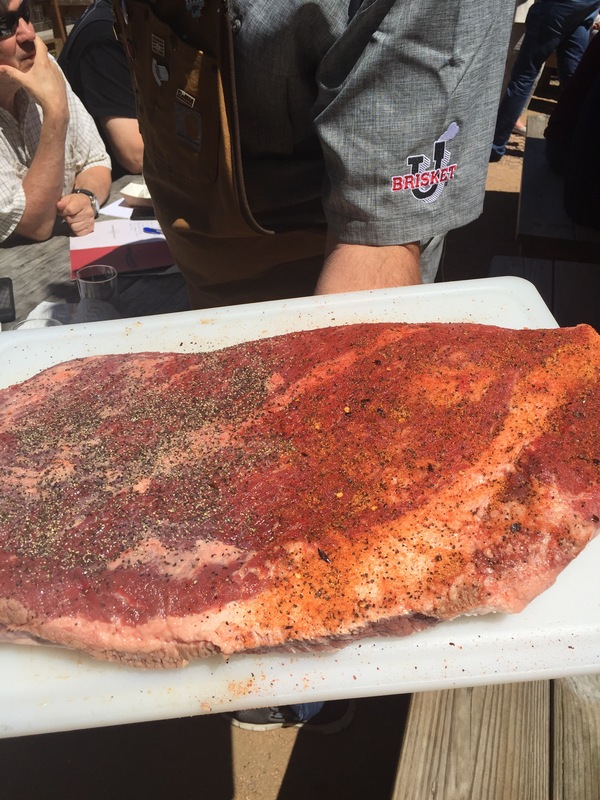 During the class I learned SO much about the entire smoked Texas brisket process. A proper smoked brisket can take hours of low and slow TLC. 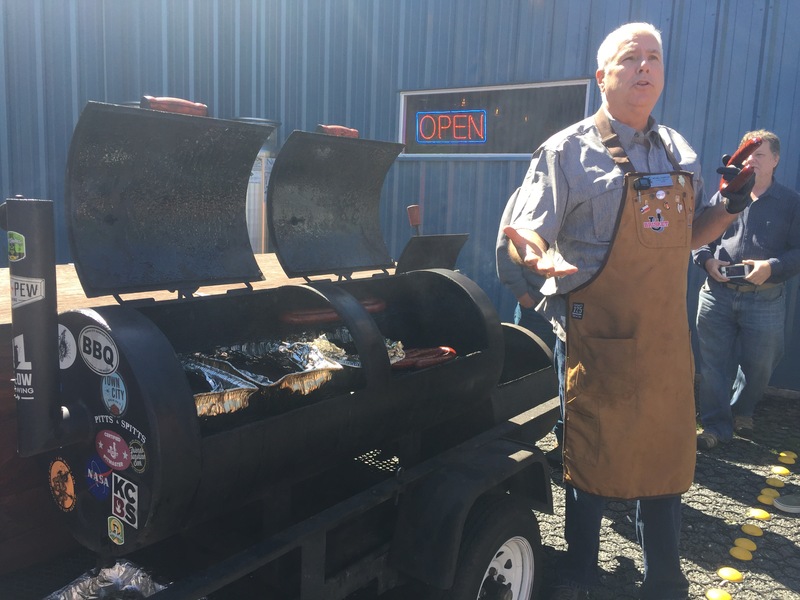 They recommend 1 hour of smoke time per pound of brisket. 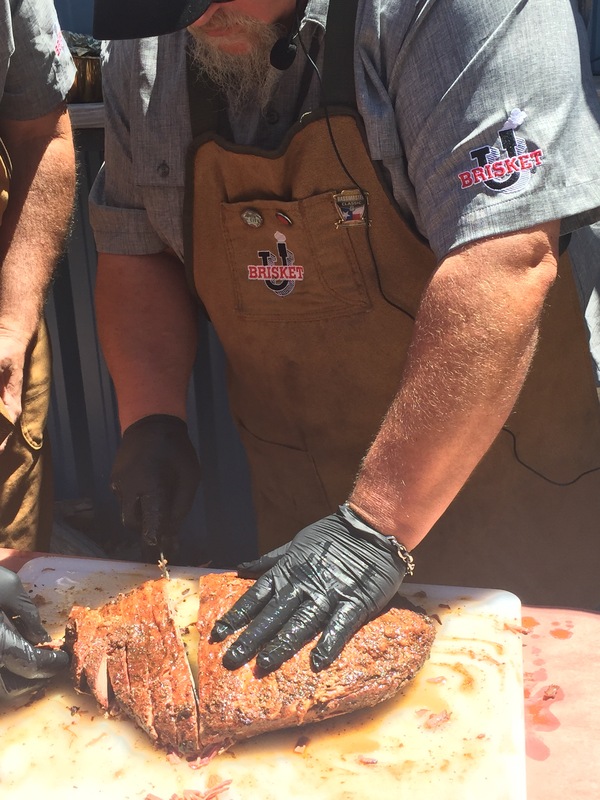 The pitmasters suggest checking on your brisket after every two beers you enjoy, that is a method I can get behind! You also have to check your fire box regularly, approximately every 30 minutes. Tending to a brisket is a serious job that requires patience, discipline, and of course some fun to make the time pass. The class was informative for the experienced grillers or newbies like myself. The instructors were very knowledgeable and engaging and the class flew by. Mike and Scott really went above and beyond with their Southern hospitality. I left class feeling inspired and informed enough to conquer my own smoked brisket. 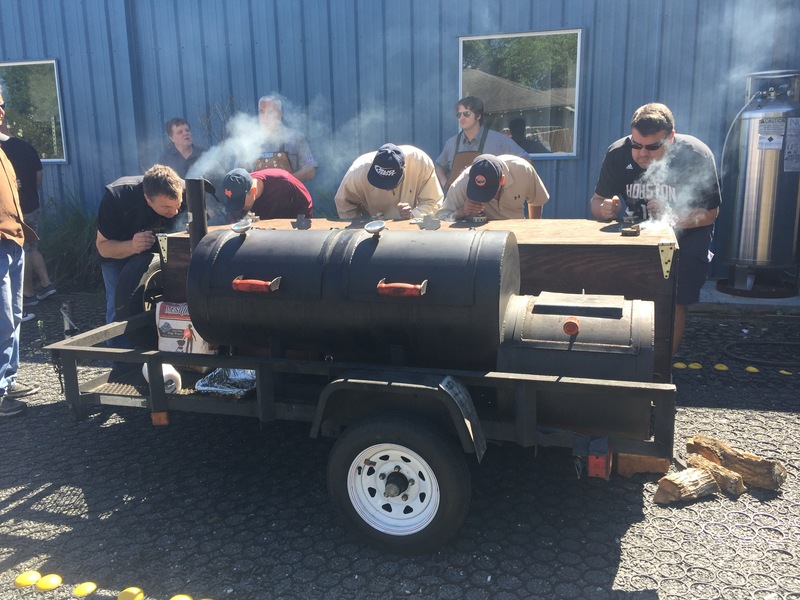 The class covered everything from how to chose the best Texas pits, different types of brisket and grades, trimming and cutting techniques, rubs and seasoning options (pictured above), wood selection, a smoke profile smell experiment (pictured below), managing a firebox, timing and temperatures, and how to ultimately serve your finished product. The brisket that we tasted at the end of class was seriously the most flavorful, tender, and smoky brisket I have ever experienced. It was balanced, juicy, and melted in your mouth. I have had brisket all throughout the state of Texas and this was in a league of its own. BBQ sauce would only ruin a brisket this delicious. That is the true test- the meat should shine on its own and this one made my taste buds dance. I can’t wait to recreate what I learned at home and will definitely be gifting some classes to Brisket U and Ribs U to friends soon. This is the perfect Father’s Day gift for all the men in your life, a great birthday gift, or gift for a new college graduate who wants to impress friends at backyard cook outs. There is currently a Father’s Day promotion going on that you don’t want to miss! With the Father’s Day gift box, you will receive a BrisketU class voucher good for any class (Brisket or Ribs U), an awesome BrisketU pint glass, and a large 16oz. container of their award-winning Graduate Spice Mix for $89 and free shipping. Each gift is hand packed in an attractive red box perfect for gifting. 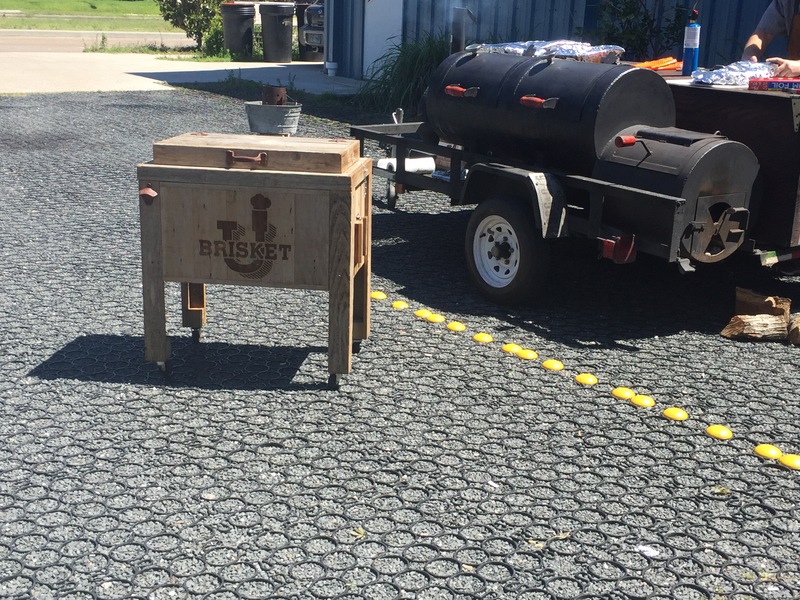 BrisketU guarantees all gifts for Father’s Day will arrive on time with free shipping when you place your order by June 12th. You can order your gift here. 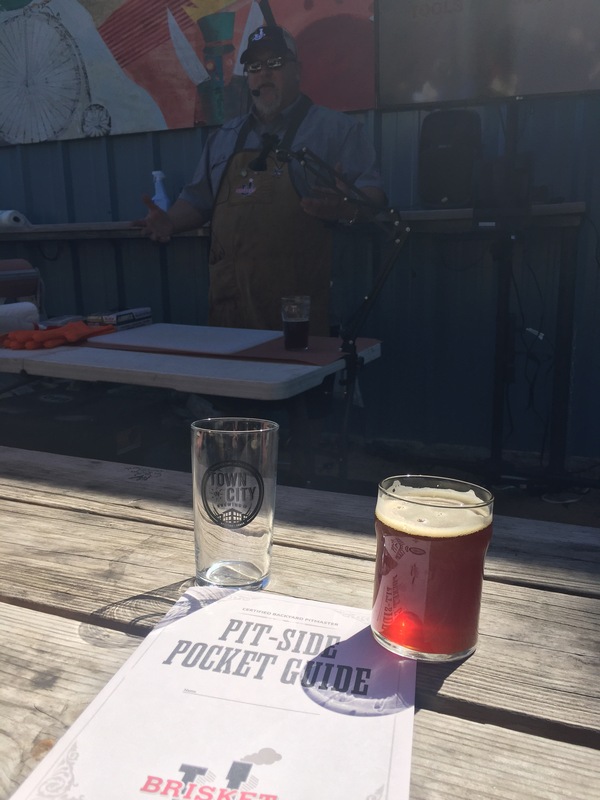 Brisket University offers classes multiple times throughout the month at breweries throughout Houston- what better way to start your weekend than with brisket and beer. Hope you enjoy as much as I did! 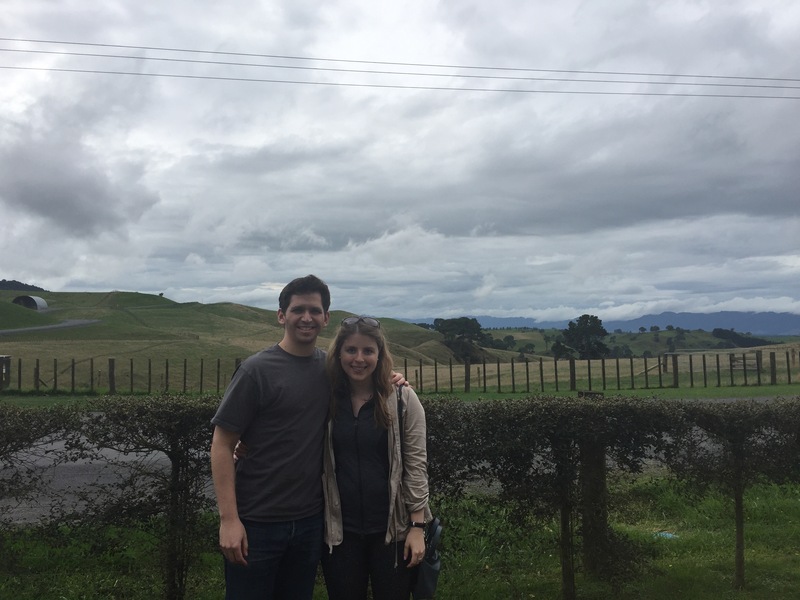 Road trip to Rotorura, NZ! 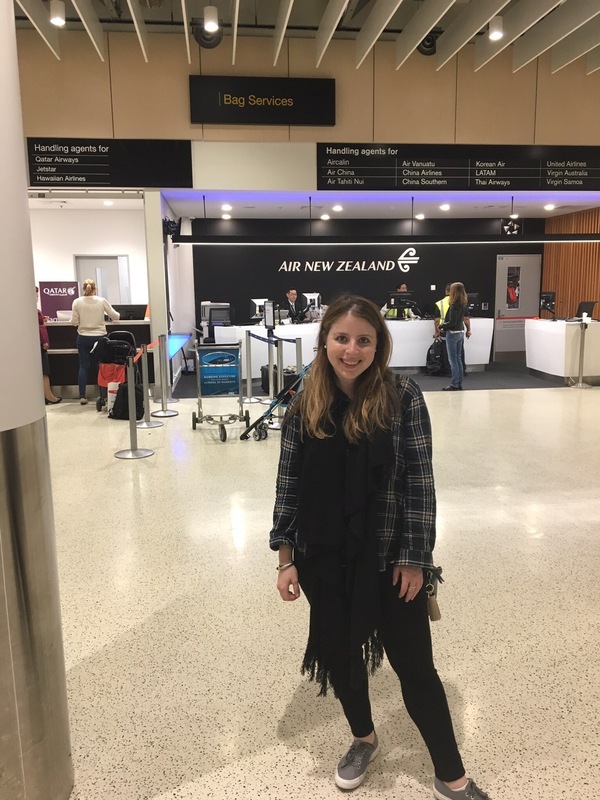 Our Aussie by Air New Zealand adventure continued with a road trip to Rotorura. 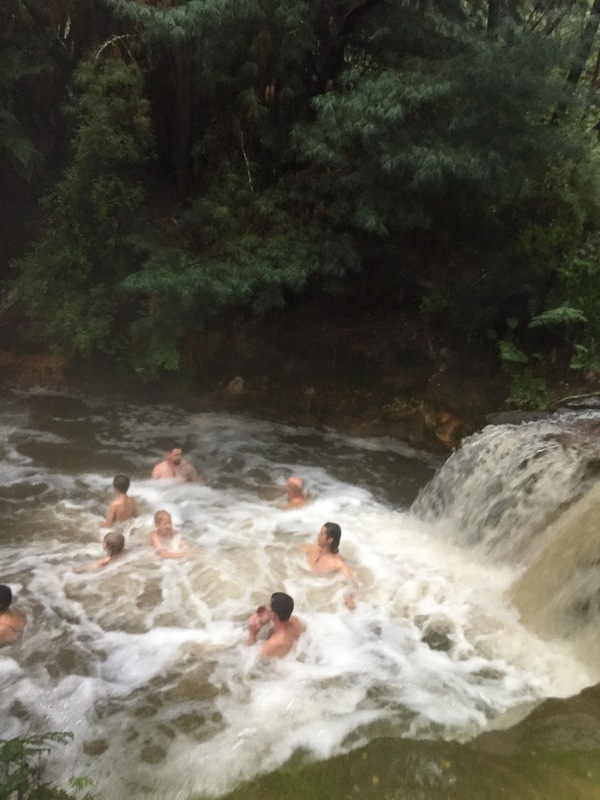 It was hard deciding where to go next from Auckland, but Rotorura kept coming up as a geothermal wonderland only three hours away. Once Evan got used to driving on the other side of the road and on the other side of the car, we were on our way! One of my favorite parts of the trip was the scenic drive. Every turn was filled with magical views, rolling hills, and sheep and cows forever. Sheep at the Agrodome farm. Views on views right by the Hobbiton Lord of the Rings movie set. We didn’t do the tour but still appreciated the scenery. 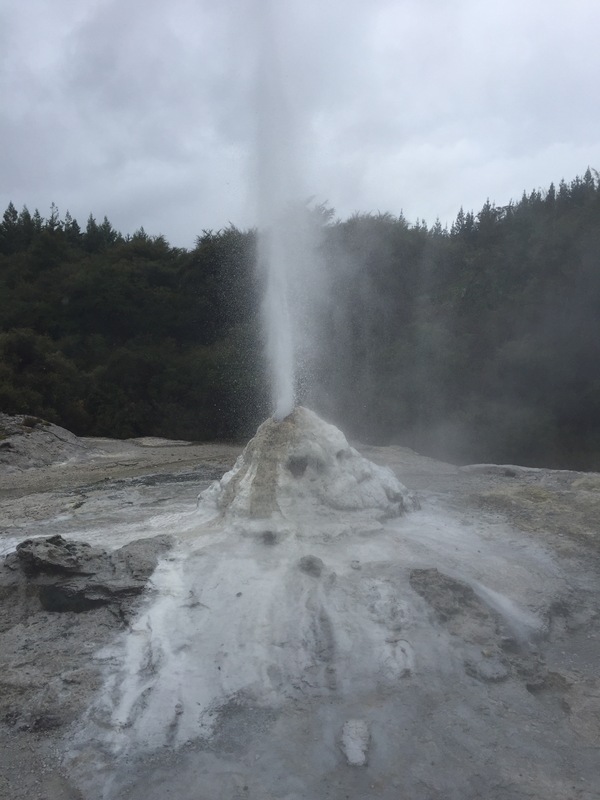 The #1 rated Rotorura activity on Trip Advisor- Wai-O-Tapu geothermal wonderland. We arrived around 10 am the following day for the geyser show. It was raining but the show still went on. We enjoyed walking around the grounds to see the boiling mud, hot springs, and various pools. Be warned it does smell like rotten eggs from all the sulfur! Although it was still raining, I was determined to make it to Kerosone Creek after the rave reviews from my New York turned Aussie friend, Julia. Even in the rain these hot springs were still beautiful, amazing, and warm. Make sure you walk through the path and other springs to the one with a waterfall! I was tempted to pay admission for the hot spring spas, but this was a great free off the beaten path option! 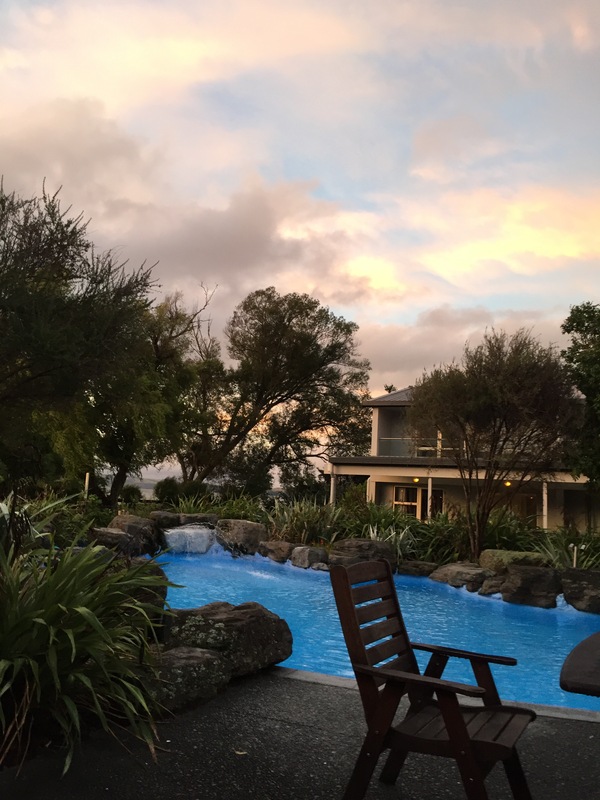 Our hotel, Wai Ora Lakeside spa resort, had gorgeous lake views, a nice pool, and restaurant. Rooms were spacious but no frills. Hotel options were relatively rustic in the area and many motels. For the price this was a pretty nice option. The food overall in Rotorura wasn’t as exciting as the other cities on our trip. Hard to compete with Melbourne and Sydney. 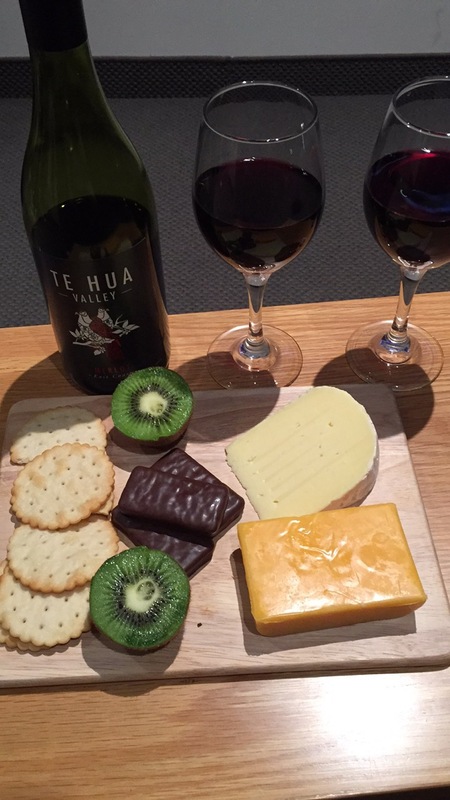 However, I loved trying the local wine, cheese, and kiwi fruit in NZ. 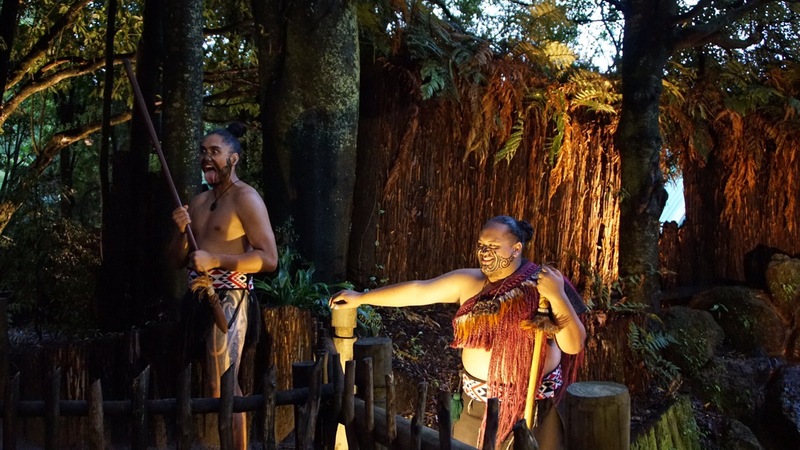 Rotorura is known for the Maori tribal culture. 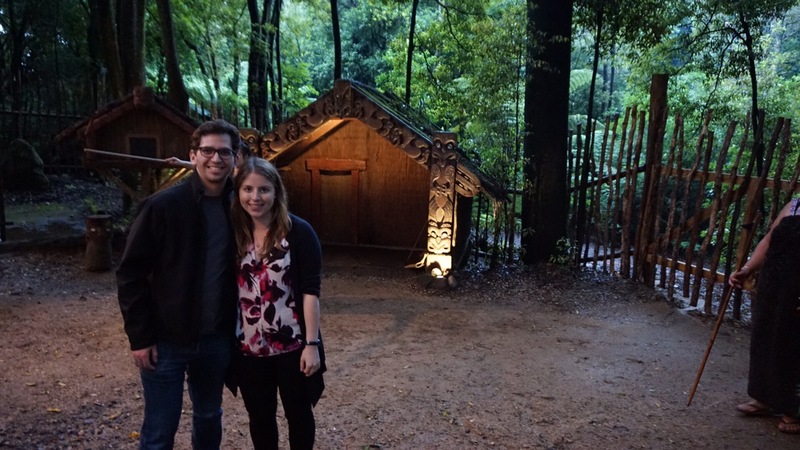 We attended the Tamaki Maori Village dinner and performance. We learned all about their unique culture, enjoyed the performance, and overall experience. The food was cooked underground in a stone fire pit. 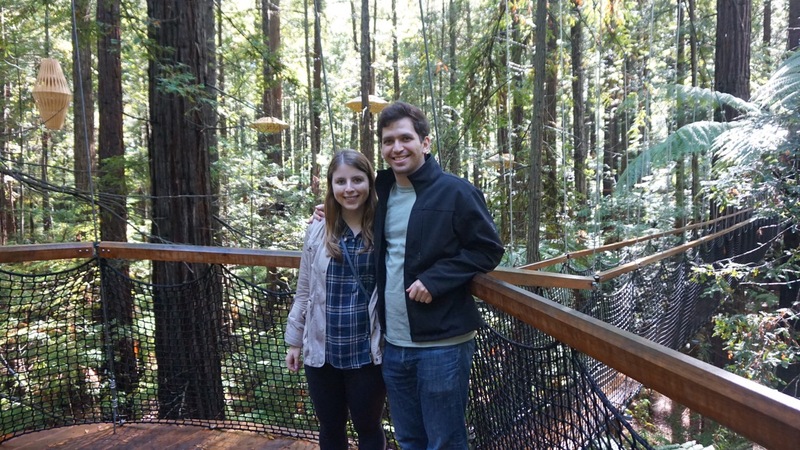 My favorite activity in Rotorura was the Redwoods tree walk! 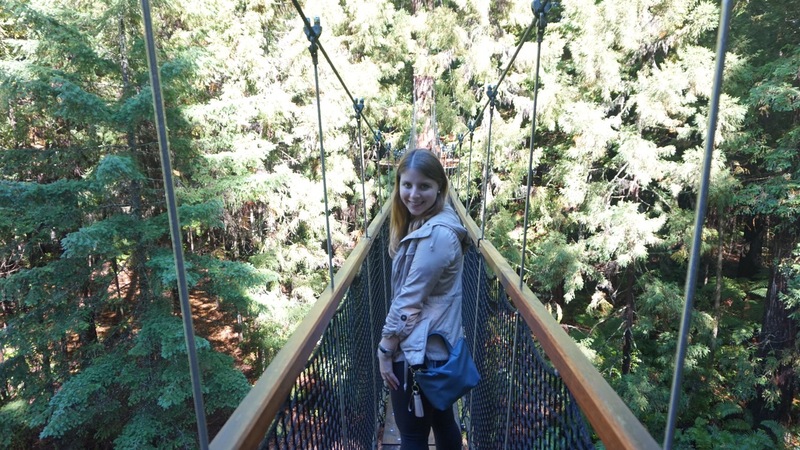 We walked along the 115 year old majestic redwood trees over 23 suspended bridges. It had just rained and the forest was breathtaking. Stay tuned for the next part of our trip as we journeyed to Melbourne and Sydney…Onward to Oz! Kia Ora! 5 months ago I received an Instagram message with this greeting (meaning hello and good fortune) and the news that I had won two free flights from Houston to anywhere in Australia via Auckland through Air New Zealand! I had attended an Aussie by Air NZ event in Houston in October that was promoting their new direct route from Houston to Auckland. If you posted a picture from the event, you were entered to win the flights. When I opened the message I figured it couldn’t be real but I am now back from my journey across the world still pinching myself. Evan and I arrived in Auckland two weeks ago after a 15 hour direct flight on Air NZ from IAH airport in Houston. The flight left at 8 pm Wednesday night and after watching movies and reading for the first half, and sleeping for the second half it went by relatively fast. A few perks about Air NZ: endless movies and TV options for free, in flight games with other passengers or messaging which is fun if traveling in a group, alcoholic drinks are free in flight and wine = better sleep in the air, they serve you two meals, have spacious foot and back recliners even in economy, and the friendliest in flight crew I’ve ever experienced. 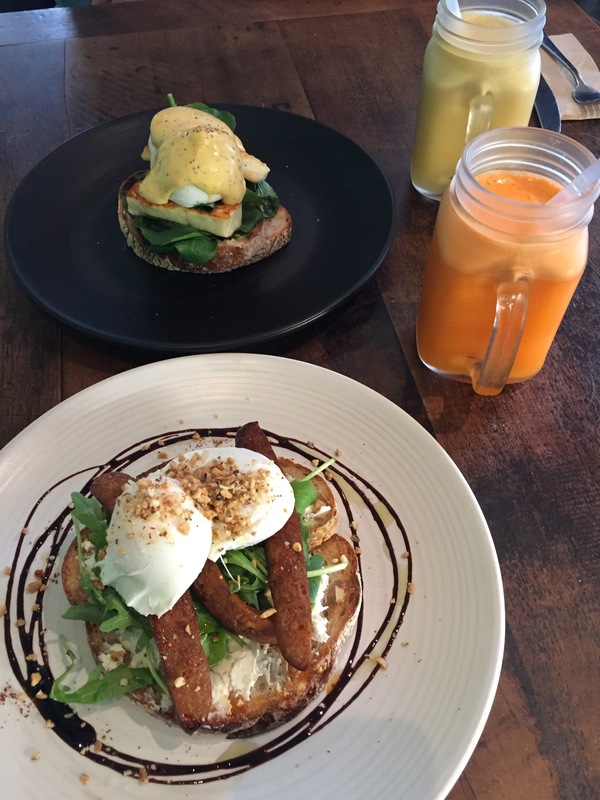 Upon landing and checking in we were in search for a classic New Zealand brunch. 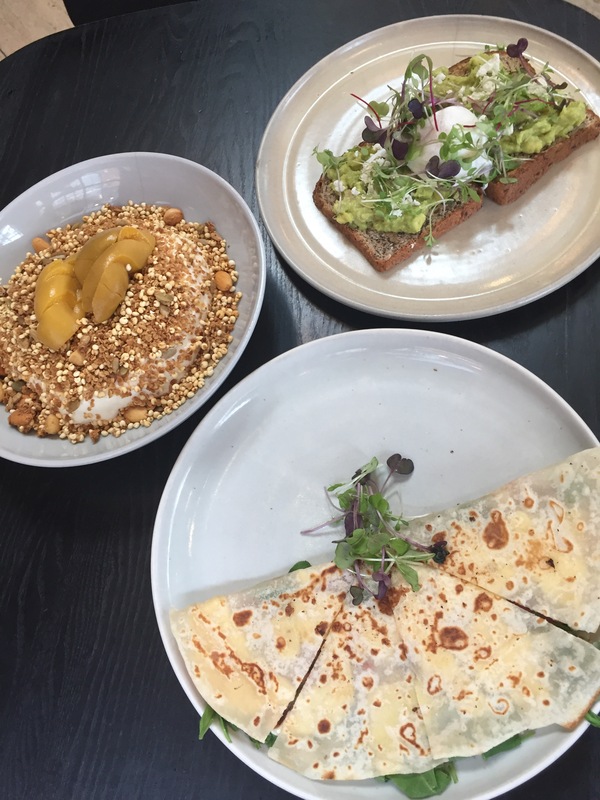 We stumbled upon Federal and Wolfe which was a colorful organic cafe with endless brunch options. We split Eggs Florentine which came with haloumi cheese (the best) and Dukkah Eggs with chorizo and both were equally delicious. Their fresh squeezed juices were a perfect way to get in some vitamin C after a long night of travel. Auckland reminded us a lot of Seattle with the serious coffee scene, popular fish market, rainy weather, and beautiful rivers and mountains as the backdrop of the city. We stayed at a great Hilton along the waterfront which had beautiful harbor views, live music in the hotel bar, and a delicious cheese platter. It was in a central location to walk to several areas and we found it easy to navigate the city. 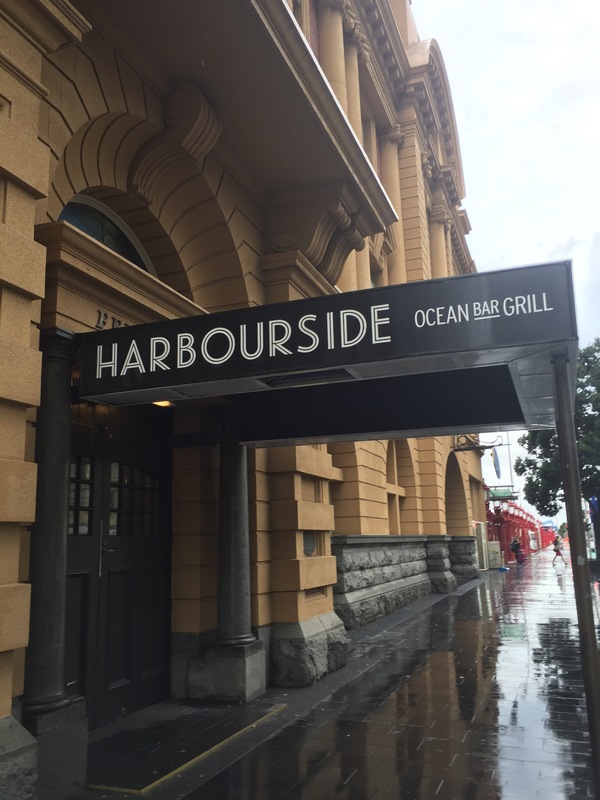 For dinner we were craving fresh seafood and landed at Harbourside on the Auckland harbour. It was a bit upscale but it was our only night in Auckland and got rave reviews. 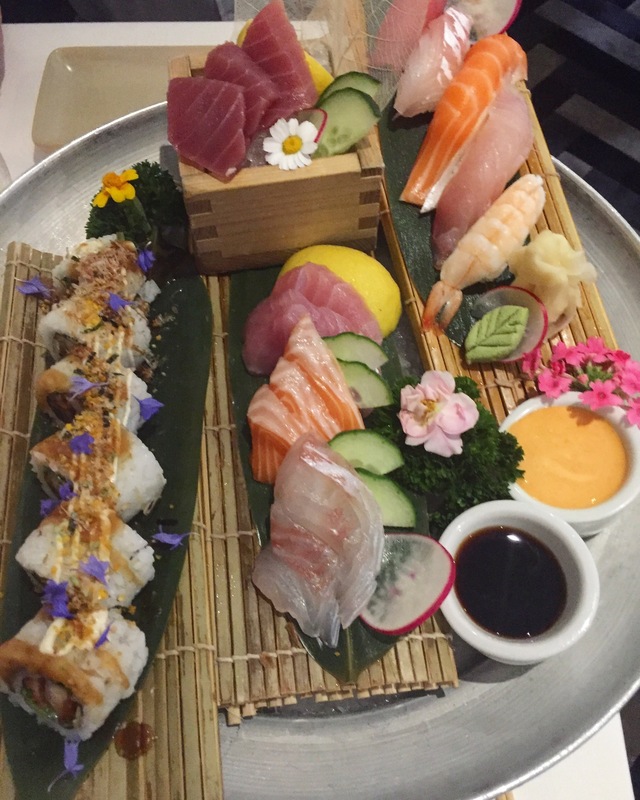 The fresh sushi and sashimi was the highlight of the meal. After dinner we headed to The Gin Room for some craft cocktails. They had a speakeasy vibe and they feature gin from across the globe. 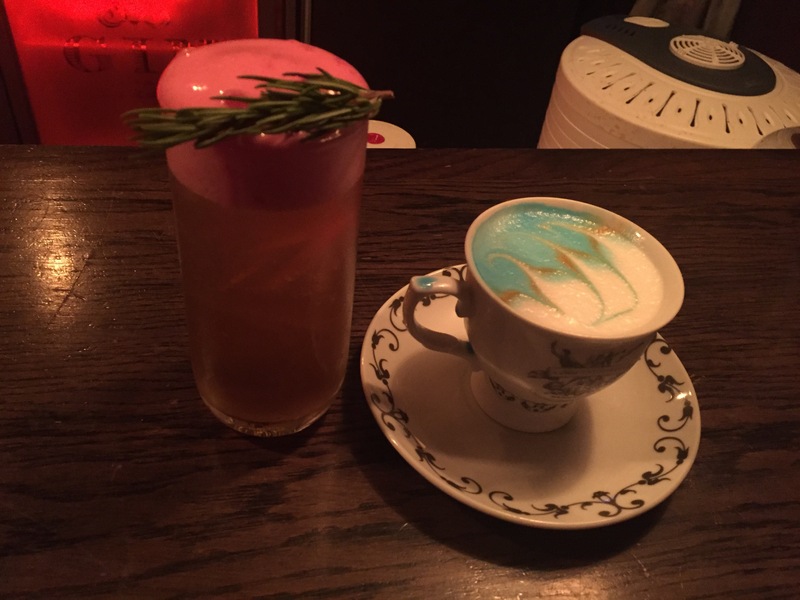 My cocktail was topped with beet root foam and rosemary. At this point we were pretty tired from the flight and walking around throughout the day so we called it a night. 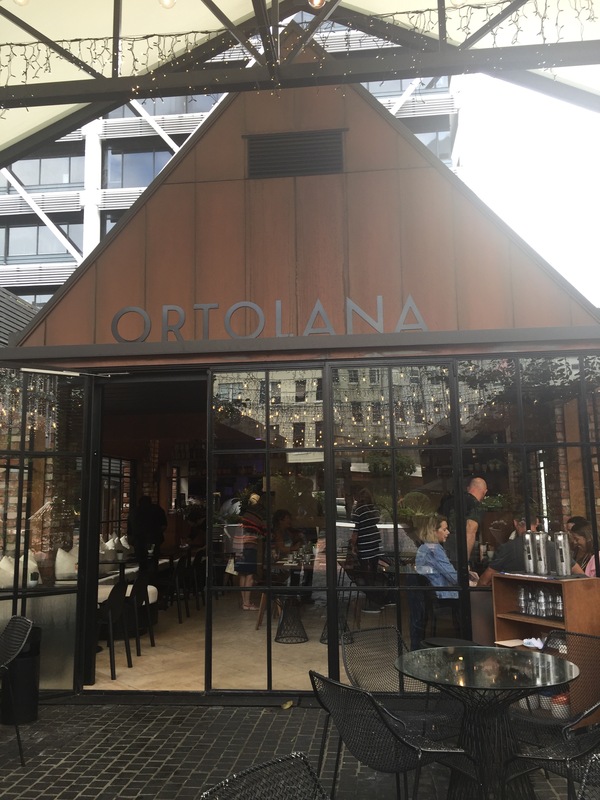 We couldn’t leave Auckland without one more amazing brunch and we loved Ortolana so much that we compared every other brunch we had on the trip to this meal. I think this was our favorite from the trip which says a lot because breakfast down under is taken very seriously. 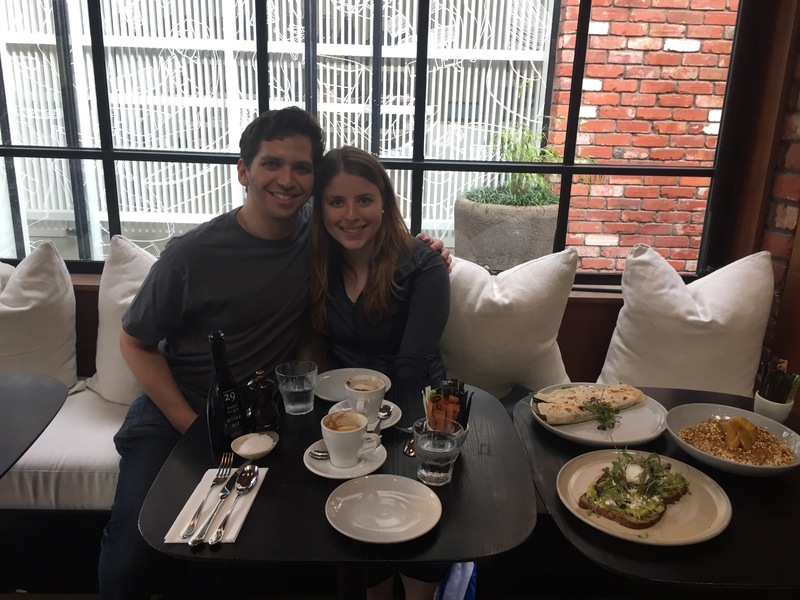 The ambiance was amazing, they serve strong yet creamy flat whites, the fluffiest whipped yogurt we had ever had, and dreamy avocado toast with a perfectly poached egg. I wish we had more time to explore Auckland but with the rainy weather and plans to explore Rotorura we had to hit the road. 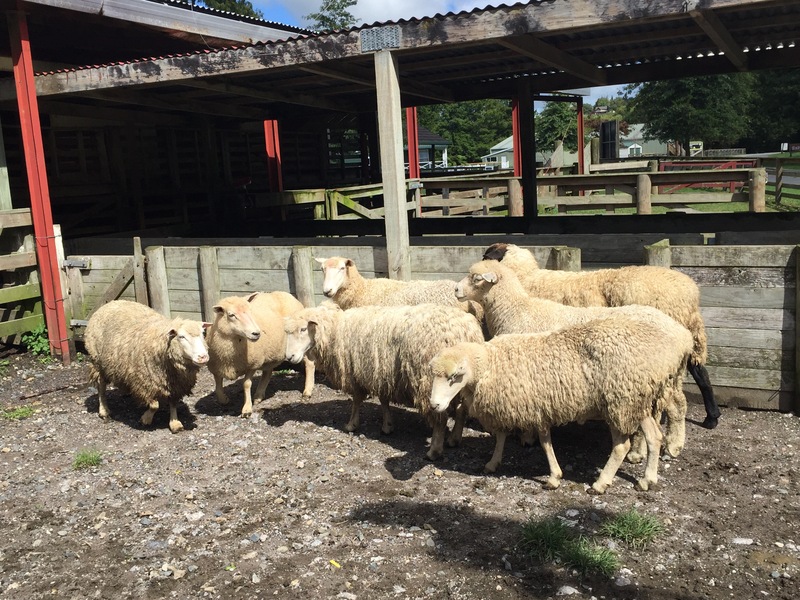 Stay tuned for my next post about our drive through the beautiful New Zealand countryside/sheep land to get to Rotorura- a geothermal quirky tribal town! CourseHorse Cooking Class- Sur La Table! 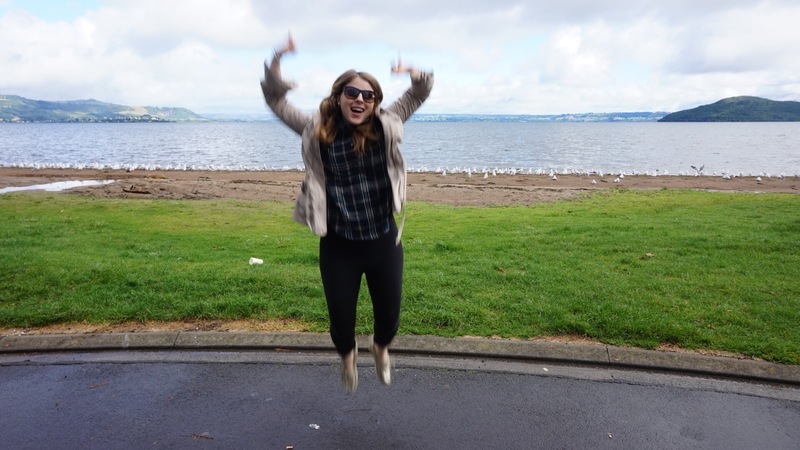 I’m finally back from my whirlwind of a trip to New Zealand + Australia and I’m excited to catch up on some blog posts! Soon I will be posting a recap of our adventuress. A few days before the trip I went to an amazing Tour of Italy: Tuscany cooking class at Sur La Table with my friend, Stephanie. I was contacted by CourseHorse , a company that offers a wide variety of courses and learning opportunities. CourseHorse is essentially a discovery and booking tool for local classes. I was amazed at the wide variety of classes they offer including: fitness, languages, life schools, tech skills, professional skills, and cooking. I was excited about the unique range of cooking classes they plan to offer in Houston and have been wanting to try a class at Sur La Table so it was the perfect opportunity. While my class was compensated, all of my opinions are my own and I have already signed-up for another cooking class since I loved the experience so much. We attended class at the River Oaks Sur La Table location. I knew we were off to a good start when I saw this magical sunset upon arriving. The class was small and personalized with only around eight people which really allowed us individual attention with our insightful instructor, Chef Monica Tapia. In addition to making a three course gourmet meal, I learned tips along the way from Chef Monica about proper knife skills, the best way to cut veggies and meat, how to create the perfect base for soup, and many other kitchen prep tricks. When we arrived, everything was already set-up in portioned out stations with all the ingredients. 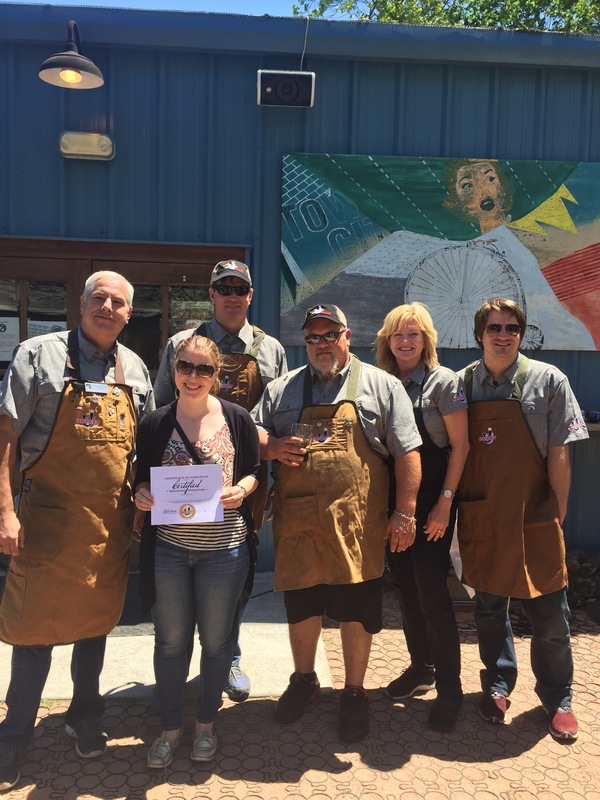 We each received name tags, aprons, light refreshments, and quickly started working in teams on the first course. I would recommend going with a friend if possible since you do typically work in teams of two, but everyone was also very friendly if you did go on your own. Did I mention the class was BYOB?! We brought a lovely Pinot Noir that complemented our Italian feast perfectly. The first course was my favorite with the hearty and healthy ribollita Tuscan soup paired with a pecorino and shaved fennel salad. This soup was seriously to die for and could easily be a meal in itself. We learned that this soup used to be considered a peasant soup based on vegetables that were easily grown in the garden and made with day old bread. The robust flavors of tomatoes, white beans, a parmesan rind, garlic, pancetta, and onions all made a rich and complex broth. We stirred in kale at the end to get in some extra greens. I already made this soup again since it was so easy and tasty, perfect for a weeknight meal. I also fell in love with this simple salad of freshly shaved fennel with greens. We made a light and zingy lemon garlic vinaigrette which was made for a refreshing side salad. Next up we seared Bistecca alla Fiornetina on small grills. These steaks were lightly seasoned with herbs and lemon. We were pretty full from the first course but these steaks were perfectly seasoned and grilled so it was hard to resist! It was fun getting to taste our dishes throughout the class and it definitely turned into a full dinner, make sure you go hungry! We couldn’t end the class without a sweet treat and these indulgent chocolate hazelnut filled donuts were SO delicious. I had never had Bomboloni before (which is probably a good thing because these are dangerous), but they were so fun to make. These Tuscan-Style mini yeasted donuts are a great dessert to impress friends with or to enjoy for a special meal. I had never made doughnuts from scratch before and will have to find another excuse soon to whip these up.